AFTER months of anticipation, the arrival of Dalby's new shopping destination has finally arrived. 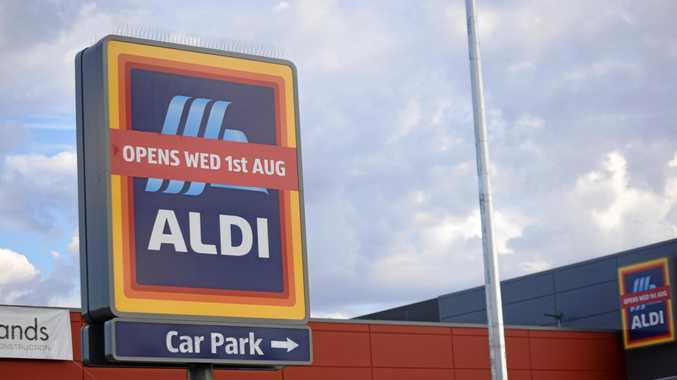 Aldi will officially open its doors on Wednesday, and the global giant has promised the community "high-quality products at permanently low prices”. "We offer a supermarket experience that is like no other in Australia, and it's our differences that allow us to bring unbeatable value to our customers every day,” an Aldi Australia spokesman told the Dalby Herald. The new store will contain enhanced displays, improved navigation and a modern interior store design. New features include redesigned shelving, expanded wooden produce bays, as well as extended energy efficient chillers. The Aldi spokesman said energy management was a key priority for the company, and the store had been fitted with efficient LED lighting. "While we're delighted to be introducing these innovations, we want our customers to know they won't lead to higher prices,” the spokesman said. To celebrate the opening of the new Aldi store, there will be a number of unique specials on offer Wednesday which will not be available in any other store. Aldi Dalby will be run by a team of 15-20 local employees. Western Downs Regional Council spokeswoman for economic development, Donna Ashurst, said Aldi's investment in the town was a great sign for the community. "The opening of international supermarket giant Aldi in Dalby, as well as the opening of Bunnings Warehouse earlier this year, is a show of faith in our retail sector from two of the largest players in Australia,” Cr Ashurst said.